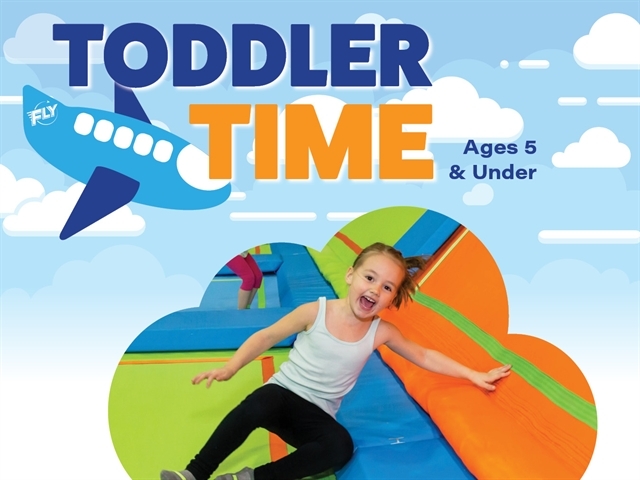 Through January the cost is HALF OFF at $8 per child for a full TWO HOURS of jumping joy! 1 parent jumps for FREE! Ages 5 and under. 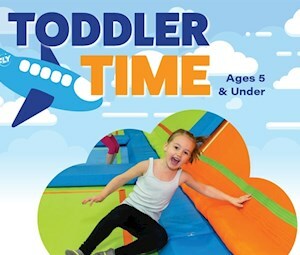 Toddler Time is a special time for your little ones to jump freely and safely around the park. Great bounces start from small hops! For safety reasons, jumpers must jump in our reusable Fly Trampoline Park grip socks, which can be purchased at the front desk for $3.